The miniature schnauzer does not shed its coat and is hypoallergenic. They do require regular grooming. 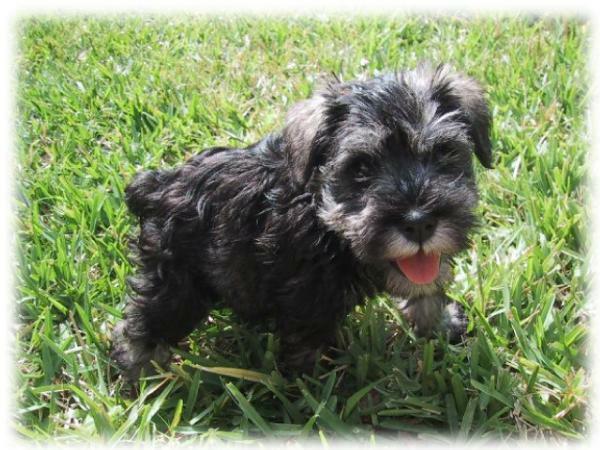 Mini schnauzers are very intelligent and are great with children and the elderly. They are easily trainable. Miniature schnauzers do not tend to wander from their home. The breed is generally docile but has a great natural protective instinct. They make very good watchdogs. Miniature schnauzers, unlike other terrier breeds, do not like to dig.